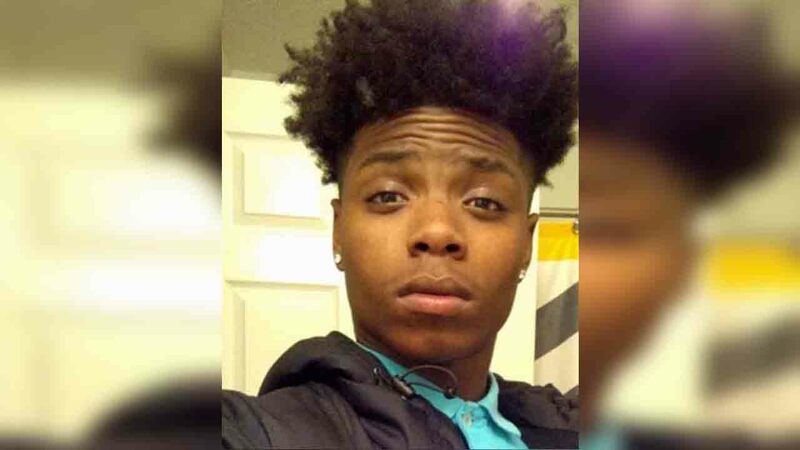 GREENSBORO, N.C -- Greensboro police have identified the teen who was shot and killed Tuesday morning. Tyquan Vonricco Washington, 18, was found suffering from a gunshot wound in the 700 block of Hyde Drive just before 11 a.m.
Washington is the son of recording artist Ricco Barrino, whose real name is Kassim Vonricco Washington, and the nephew of American Idol and Grammy-winning singer Fantasia Barrino, WGHP reports. Emergency crews performed life-saving measures but Washington was pronounced dead at Moses Cone Hospital. David Lee White Jr., 21, of Greensboro, has been arrested in connection with the shooting. White is charged with first-degree murder and is being held in the Guilford County Jail without bond. On Tuesday, Barrino posted a heartfelt love letter to his son on Instagram upon learning of his death. Barrino said he knew his son had gotten into some trouble but that he was turning his life around. Washington aspired to be a musician like his dad. He was even recently working on a mixed tape. Fantasia also posted to Instagram Tuesday, "Ty Auntie is So Sorry Baby RIP to my Oldest Nephew Please Pray for his Mother and my Brother @riccobarrino & his Stepdad."